Ethereum is a decentralized cryptocurrency. Cryptocurrencies run on block chains which are a massive collaboration of computing infrastructure. Blockchains are decentralized databases or ledgers, where people can exchange currencies openly without middle men. Miners help secure this block chain. 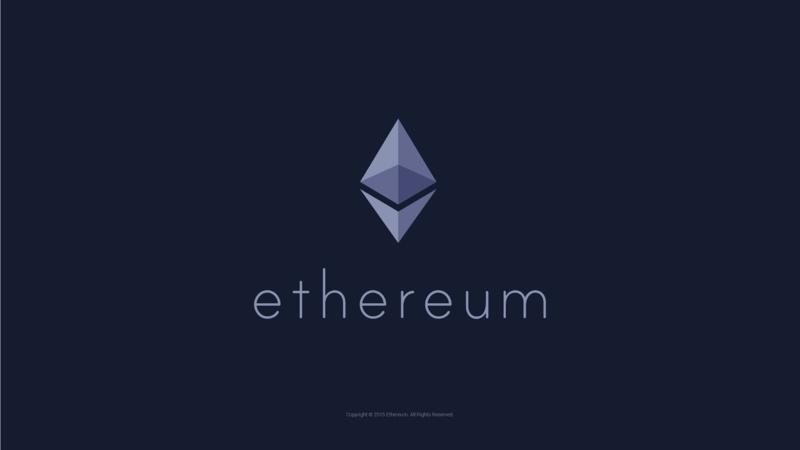 Ether can be expressed as “fuel” for computing power. To start off you should have all of your device drivers updated and working. Also, this guide is mostly for windows, UNIX/Linux may be different, I may post screenshots later. Make sure that your firewall/antivirus does not block the mining programs. All of the programs listed are free, only cost involved is the hardware. I know there are a lot of articles about mining, but I wrote this article to help some friends to wanted some more information to start ethereum mining. The link is for windows and linux, make sure to do a complete install, after install restart your pc. If you mine cryptocurrencies, you will require a wallet to store your coins. This is an offline wallet, so you must load the program and download all of the blocks from the Internet, which can be a few gigabytes in size, and it can take a few minutes to a few days. Once this is done you will have a brand new ethereum wallet address. For bitcoin wallet, an offline wallet is more secure but an online wallet is more functions. This is a good secure online wallet, which offers no other services. 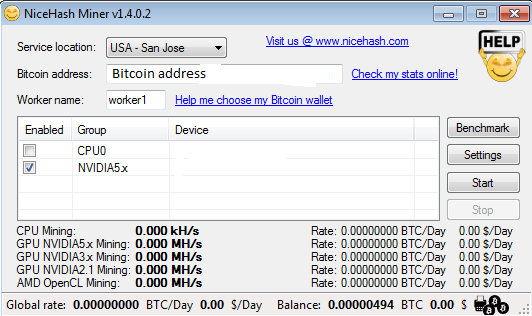 Nicehash works only on windows 7 or higher. You may be able to use Wine Emulator in linux, but I am not sure about the performance lost. For nicehash to work you require a working bitcoin wallet address, even if you only want to benchmark, so use an online bitcoin wallet. this may take a few minutes, you will know when it is done when you can check profitability/submit result, open that page and it will show you how good your graphics card is and if you can make any profit on different algorithms. 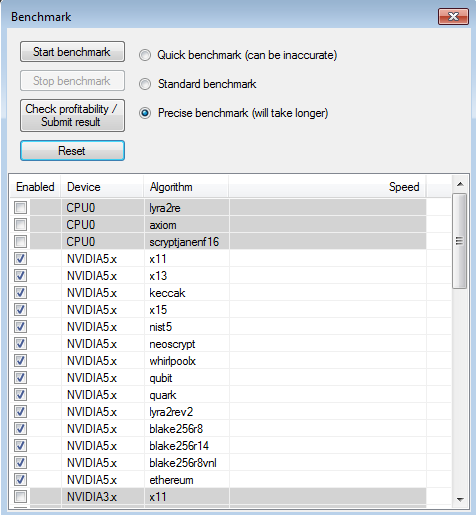 If nothing shows up on nicehash you may not have installed opencl, or your computer has unsupported hardware. Do not use your computer while benchmarking, anything running will affect your score. The only way to check your speed on Linux is to manually test every algorithm using scripts, which is really annoying and timely. Windows 7 64bit or newer. Linux Kernel v3 or newer. For profit, a GPU with 1000+ CUDA cores or AMD Shaders should be used. To mine ethereum, you will need a mining program, there are many available. To mine ethereum you will either have to mine solo, join a pool, or join a solo pool. 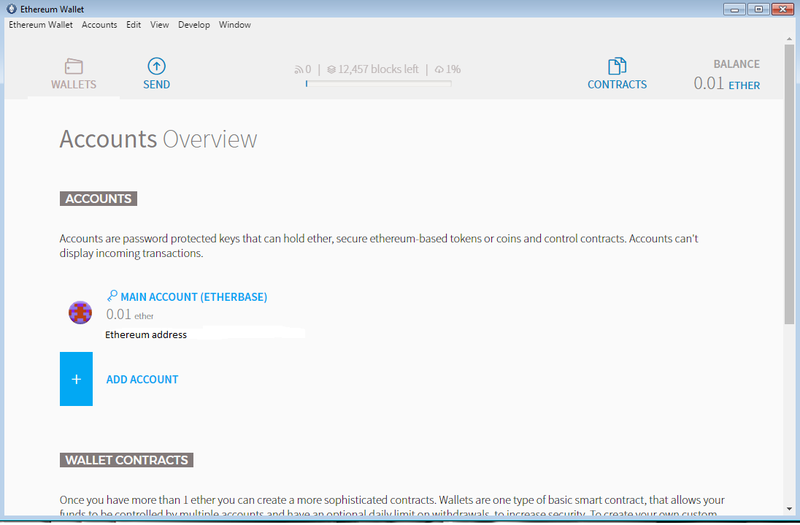 This site only mines blocks, so you have to wait for the block to be found, which can take about 10 days on my computer but will differ on other computers, and a ethereum block payout is 5 ether. This site pays for blocks, uncles or anything else, but is based on luck of percentage of the pool, and the minimum payout is 1 ether, the payout is counted by how many shares of a block you contributed to. This method offers up to 5% higher payouts in the long run. This site also pays for everything mined, blocks, uncles, and shares. This site does not offer direct payouts, the previous two sites do. This site also requires registration, while the previous two do not. The ethereum miner has to create a DAG the first time it is launched, which can take up to 5GB of space, and has to be periodically loaded to ram which can take 2GB of RAM, this can take a while on a slow computer. 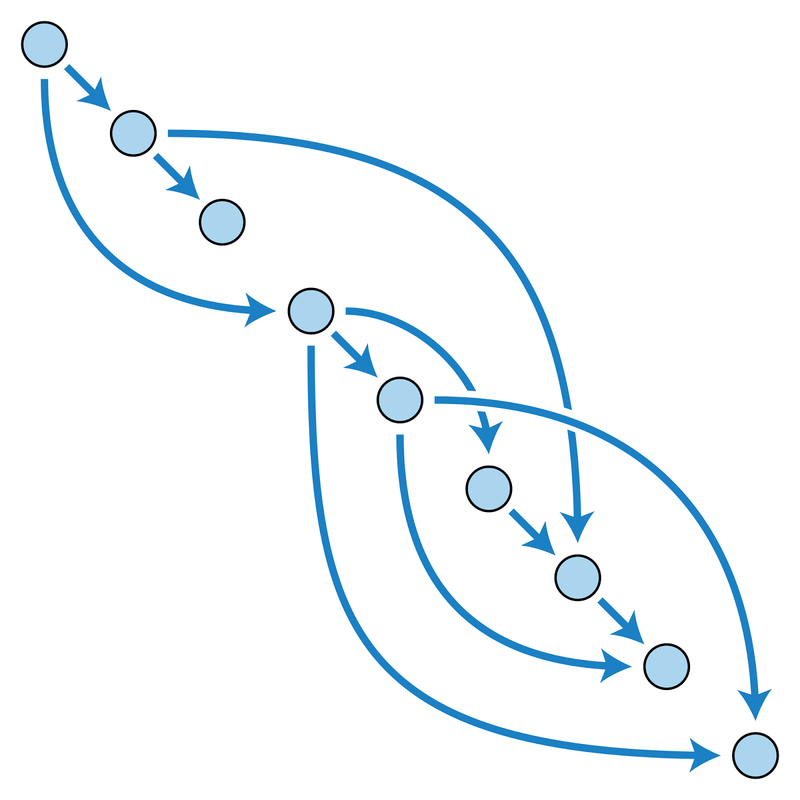 A DAG is a Directed Acyclic Graph. Pool mining is random, but solo mining is slow. If you want to mine with friends, use the same wallet address and split the profits after. Use nicehash to predict profit, or if you are using the top two pools, the profit will be listed.